SACRAMENTO, Calif. /California Newswire/ — Calif. Assemblyman Jeff Gorell (R-Camarillo) stated today that he was very bullish on the job and commerce opportunities for Ventura County and California as related to the massive aerospace job growth expected in non-military use of unmanned aerial vehicles. The chairman of the Assembly Select Committee on Aerospace, Assemblyman Al Muratsuchi (D-Los Angeles), called for a public hearing on the matter for Tuesday, March 19th where legislators will hear testimony on the Federal Aviation Administration’s recent release of a request for proposal allowing regions to compete for selection as one of six future national UAV testing and integration sites. 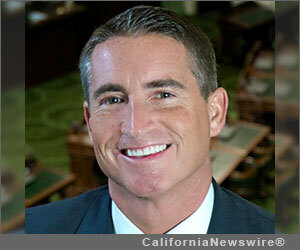 Assemblyman Jeff Gorell has been active on this issue, proposing legislation that will protect privacy rights of Californians, while also working to attract the manufacturing industry to the state. Gorell is also co-hosting a symposium to be held in Thousand Oaks from March 26-28 which will focus on the civilian use of UAVs. The symposium is hosted by the American Institute of Aeronautics and Astronautics and is being sponsored by numerous industry leaders.